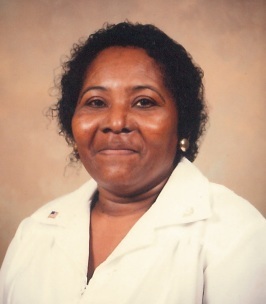 Janie Major Service Details - Greenville, South Carolina | Watkins Garrett & Woods Mortuary Inc.
Mrs. Janie Mae Major, 81, of Greenville, South Carolina, departed this life on Saturday, October 13, 2018, at Southpointe Healthcare. She was a daughter of the late Leola Guy. She was a retiree of the Greenville County School District. She was preceded in death by her mother; her husband, Glenn Dewitt Major, Sr.; a daughter, Vickie Laverne Major; and a brother, Louis House. Left to cherish many fond and loving memories are her children, Joan Marie Major and Glenn Dewitt Major, Jr., both of Greenville; one sister, Mary Williams of Greenville; one brother, Ruben Guy of Greenville; three grandchildren, Sonya Major, Civia Young and Nicholas Ladson; five great-grandchildren, Breaunna Major, Breashia Morgan, Jaquavius Major, Lavarius Vernon and Erlandis Vernon; one great-great-grandchild, Javiaunna Beeks; and a host of other relatives and friends. We encourage you to share any memorable photos or stories about Janie. All tributes placed on and purchased through this memorial website will remain on in perpetuity for future generations. My deepest sympathy in the loss of your beloved family member. Death of a loved one is very difficult. The deep emotional pain hurts so much. Our loving heavenly father feels the pain as well. In his word the Bible, there are beautiful scriptures of comfort. Psalm 34:18 is one that has comforted me. It says: Jehovah is close to the brokenhearted; He saves those who are crushed in spirit. Also Isaiah 25:8 has this promise from God for the future; He (God) will swallow up death forever. And the Sovereign Lord Jehovah will wipe away the tears from all faces. For more comfort, please visit our website: jw.org and view the comforting video; Is There Hope for the Dead? While it may be hard saying goodbye to Janie, may you find comfort in knowing that God will soon restore endless life to all those in his memory by means of the resurrection (Isaiah 26:19; John 5:28,29). May you find comfort in Jehovah God's promise of a resurrection.